A whopping two thirds of all bagged salad goes to waste. In London alone that's about 4 million bags of salad in the bin each summer. But there is another way to keep your salad out of the bin and pounds in your pocket... grow your own. Lettuce, rocket and other salad leaves are simple to grow all year round so the great news is whatever space you have, you have options. Salad leaves can be picked over and over again too so you can be reasured they will grow back. 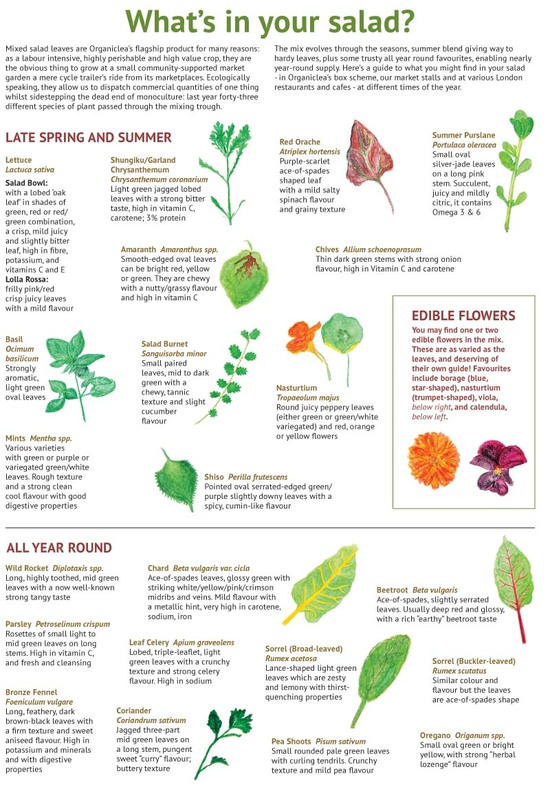 Best of all, you can pick’n’ mix your favourite flavours, textures and varieties from peppery rocket to crunchy lettuce, take a look at some top UK varities here. You can grow salad all year inside, outside or on your window box. Try mixing different lettuces or adding rocket. Oriental varieties work best for winter use – sow in September and they’ll last you until March. Fill a seed tray or window box with compost. Sprinkle over about a quarter of a teaspoon of salad seeds. Cover with a thin layer of compost, water carefully (don't drown the little guys) and place it on a sunny windowsill or a sunny spot outside. Try stretching cling film over the top of the tray to keep moisture in. Take it off as soon as seedlings start to appear. When the plants are about 3 inches tall you can start cutting them and they’ll keep growing back again and again. It's a common misconception that throwing foods like salad in the bin is OK because it will decompose – but there’s a catch to that. When salad ends up in landfill buried under other waste, it decomposes without access to oxygen, creating methane which is bad for the environment. By throwing it in a compost bin that's turned over often, instead it decomposes aerobically, causing less harm to the atmosphere. Hi Thalia, that's great to hear! Do you have any of your own tips/tricks for successfully growing salad at home?